AVG (AU/NZ) Pty Ltd, the distributor of the award-winning AVG anti-virus and Internet security software in Australia, New Zealand and South Pacific, today announced its support of the Federal Government’s fifth annual National Cyber Security Awareness Week 2011. The week aims to help Australians understand cyber security risks and educate home and small business users on the simple steps they can take to protect their personal and financial information online. Cyber security and education has become a critical issue. 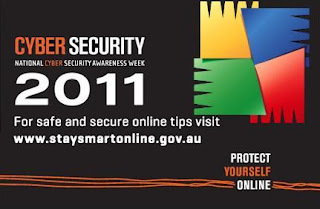 AVG (AU/NZ) will support National Cyber Security Awareness Week 2011 by participating in various events in Melbourne and Canberra. This includes collaborating with government and industry experts at a workshop on emerging cyber security safety challenges and how to address them. AVG’s sales and support staff will also be giving a series of short presentations on Stand O25 at CeBIT 2011, Sydney Exhibition Centre, hourly from 10:30 am to 4:30 pm on Tuesday 31 May to Thursday 2 June 2011. Lloyd Borrett, Security Evangelist at AVG (AU/NZ) said: “AVG’s award-winning anti-virus and Internet security software products help to protect the active Internet users of millions Windows, Mac and Linux PCs, plus Android mobile devices, across Australia and New Zealand, from global cyber criminals. AVG (AU/NZ) sees that ignorance of the risks and nature of cyber crime is posing the greatest threat to Internet users. 80 percent of cyber crime attacks are easily preventable, if users understand what to do. Borrett looks at the Stay Smart Online top tips and offers the following further advice to secure yourself online at home, work or on your mobile phone. • Install Internet security software to protect against identity theft, social networks, spyware, viruses and other malicious software. It can only be fully effective if it’s always on, up to date, scans all of your files regularly and you renew your subscription before it expires. AVG has both free and paid Anti-Virus and Internet Security solutions for Windows, Mac, Linux and Android users. • Select automatic updates for your complete environment including its operating system, security software, utilities and other applications. • Think carefully before you click on links and attachments particularly in emails and on social networking sites. Don’t expose yourself to viruses, malicious software or scam web sites designed to steal your personal information. To check if a web site is safe, go to www.avgthreatlabs.com and enter the web site’s URL for its safety rating. AVG LinkScanner for Windows and Mac PCs provides web protection wherever you go online by actively checking web pages in real time before they open. If it sees trouble ahead, it warns you. • Regularly adjust your privacy settings on social networking sites. You’re not the customer of the social networking web sites, you’re the contributor of often sensitive information. So make sure you properly manage what is shared and with whom it’s shared. • Report or talk to someone about anything online that makes you uncomfortable. You can install the Government’s Cybersafety Help Button onto your desktop or task bar and have help just a click away. The Cybersafety Help Button is a free application and you can download it from dbcde.gov.au/helpbutton. • Stop and think before you share any photos, personal or financial information. If you are asked to provide such sensitive information, the request is probably from a thief, or an idiot! So play it safe: simply don’t provide the information. • Use a strong password and change it at least twice a year. Invent illogical word, number and symbol combinations to create the strongest passwords and change them regularly. Always change from default passwords, such as ‘password’ or ‘admin’ and never tick the ‘remember this password’ box. • Know what your children and/or staff are doing online. Make sure they know how to stay safe and encourage them to report anything suspicious. 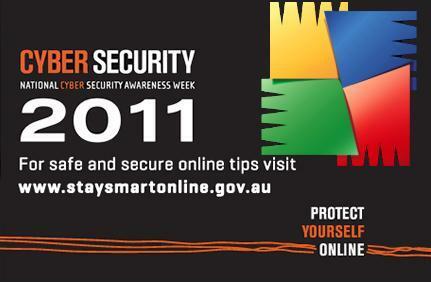 You can find excellent information about how to use the Internet safely on the government Stay Smart Online web site at www.staysmartonline.gov.au. You can also sign up for the plain language, free Cyber Security Alert Service that keeps you informed of new threats as they happen. If your focus is on keeping your business safe online, then visit www.avgatwork.com.au and take the AVG online Security Audit to receive a personalised IT security action plan. You can also download a Small Business Security Guide to help you secure your start-up or small business. AVG will continue its well received series of informative security tips, how-to’s and factsheets (www.avg.com.au/resources/security-tips/) which are a rich resource of material to help families and business stay safe online. For video tips from AVG (AU/NZ), see http://www.youtube.com/user/avgaunz.